Life in Writing: Happy birthday, Mom. I missed doing a Mother's Day post, as was my intention, because I was too busy giving my mother the news that she's going to be a grandmother in January. Since I did a Father's Day post, though, it doesn't seem right for me to skip one dedicated to Mom. Today is her birthday, so I'd say this is as good a time as any to say a few words about her. Where to begin with my mom? Laurie Armstrong Cooper is an incredibly special woman. No amount of words I could speak could begin to thank her for the things she's done for me. I'll try, in some small part, nonetheless. 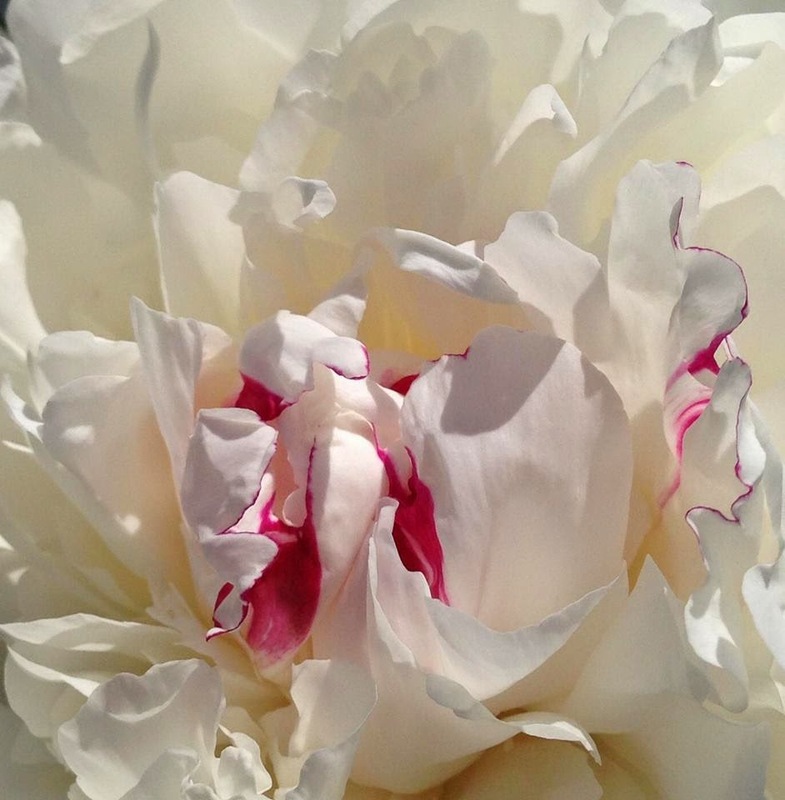 A picture Mom took of a peony in front of my house. help support me and Dad. She started off as a journalist, and that was what she initially went to school for. She had a very short maternity leave--this was well before New Brunswick's maternity leave was improved upon--and she left me with Dad during the day while she was busy with work. She took photographs for her journalistic pursuits, and in the last few years has gotten into it again as a hobby. She took some wedding photos for my cousins a few years back, and the pictures always turn out beautiful. Both of my parents, in a lot of ways, made up for a childhood that would have otherwise been very difficult. While I was teased and bullied for the way I looked, my parents were building me up and encouraging me to pursue my dreams. Everyone has some kind of struggle growing up, and I'm glad that through it all, I had a great relationship with both of them that kept me going. School was hard, but at least I got to go home at the end of the day. Likely I wouldn't be writing in this blog today without their early encouragement. My mom is also one of my best friends. I really feel like I can--and I often do--tell her anything, and she always listens without judging. We meet at least once a week for coffee or breakfast and if we had more time, I'm sure we could talk for hours on end. She is incredibly supportive of everything I do, and doesn't discourage me, even when my dreams are bigger than reality, and even if my expectations are sometimes selfish or unrealistic. One of the things that always stuck with me about Mom was how she would get interested in my interests. I gamed a lot growing up, and not only would she come to watch me playing these games, she would join in, too. To this day, her favourite is still Legend of Zelda: Ocarina of Time, and when I go to visit on holidays, sometimes I'll hear the music playing in the other room and I'll know she's started up a new game. On road trips, we used to take turns playing Pokémon Pinball on my GameBoy Colour. My mom is proof that you don't have to choose between being a parent and a friend--that you can be both simultaneously, and when your child gets old enough to leave the house, you will have a lifelong friend with no further discipline necessary. I only hope that I can be even a fraction of the mother my mom is.